The Origins of Halloween date back to an ancient Celtic festival called Samhain (which is pronounced as sow-in). The Celts who lived in Ireland, the United Kingdom and northern France over 2,000 years ago, celebrated their new year on November 1st. The reason for this was because November 1st marked the end of summer and the harvest and the beginning of the cold, dark winter which was believed to be a time of year that is associated with human death. So on the night of 31st October the Celts celebrated Samhain, where it was believed that the ghosts of the dead returned to Earth. Also Celts believed that the presence of the otherworldly spirits made it easier for the Druids or Celtic priests to make predictions about the future. These prophecies brought comfort and direction during the long, dark winter to those who were entirely dependent on the volatile natural world. To celebrate the event, Druids built sacred bonfires where people gathered to burn crops and animals as sacrifices to the Celtic deities. During this event the Celts wore costumes, mainly of animal heads and skins and try to tell others of their fortunes. When the event ended they re-lit their hearth fire which was extinguished earlier in the evening, from the sacred bonfire so that they were protected during the winter. The Roman Empire by 43 A.D. had conquered the majority of Celtic territory. During the 400 years that they ruled the Celtic lands, the traditional Celtic celebration of Samhain was combined by two festivals of Roman origin. The first festival was called Feralia, this was a day in October where the Romans celebrated the passing of the dead. The second festival was to honour the Roman goddess Pomona. Pomona is symbolised by an apple which was incorporated in the celebration of Samhain which probably explains the tradition of “bobbing” for apples during Halloween. Pope Boniface IV on May 13, 609 A.D dedicated the Pantheon in Rome in honour of all Christian martyrs, and the Catholic feast of All Martyrs Day was established in the Western church. This was later expanded by Pope Gregory III (731-741) to include all saints as well as all martyrs, and was moved from May 13th to November 1st. The influence of Christianity spread into Celtic lands by the 9th century where it gradually blended with and replaced the older Celtic rites. The Church made November 2nd All Souls’ Day in 1000 A.D, a day to honour the dead. It is believed that the church was attempting to replace the Celtic festival of the dead with a related, but church-sanctioned holiday. All Souls’ Day was celebrated the same as Samhain by having big bonfires and parades, the only difference being that people dressed up as saints, angels and devils. This celebration was also known as All-hallows and the night before, which was the traditional night of Samhain in the Celtic Region, began to be called All-hallows Eve and this became Halloween. 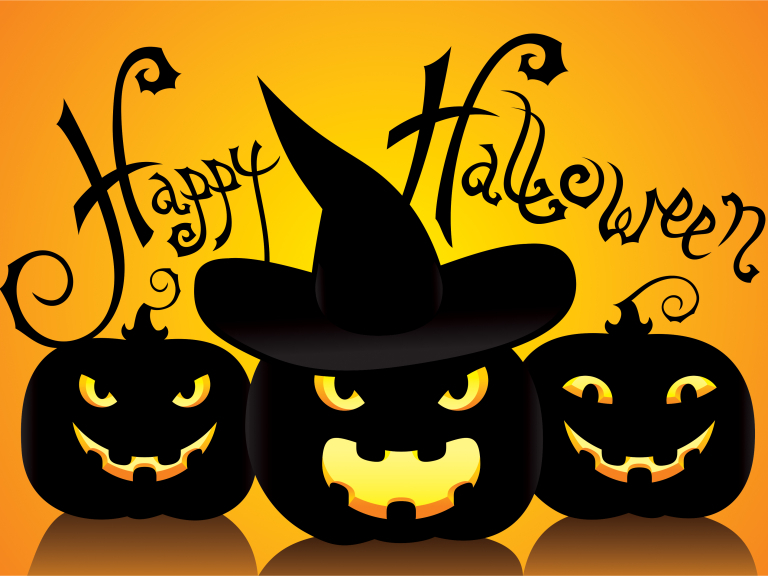 Stay safe this Halloween and check out a selection of Hastings based Halloween events here.